This podcast is brought to you by PayPal and our awesome listener’s like you. Donate today and help keep the lights on! As as usual, we thank you! 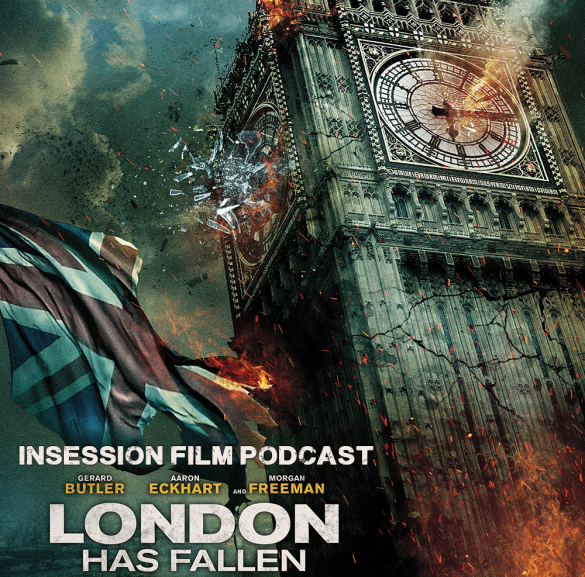 This week on the InSession Film Podcast, Will from Exploding Helicopter joins us to discuss London Has Fallen, the sequel to 2013’s horrible disaster that was Olympus Has Fallen. We also give our thoughts and reaction to last week’s Oscars ceremony and we finish off the show by starting our Andrei Tarkovsky Movie Series and reviewing Ivan’s Childhood. Huge thanks to Will for joining us on the show for his first guest appearance. He was the perfect guest for this week and he was really great. We hope that you enjoy this week’s juxtaposing double bill of films but it only makes sense to us that we start Tarkovski to make up for the chaos of London Has Fallen. This week we forgo our usual Top 3 to give our reactions to last week’s Oscars ceremony. We didn’t have time to go into everything but we do cover Leonardo DiCaprio finally getting his Oscar, how Sam Smith managed to find controversy and of course Spotlight surprising everyone with winning Best Picture. We also discussed Mark Rylance and his surprise victory, however we had to edit it out for time purposes. We loved Rylance in Bridge of Spies though and we’re glad to see him win. RELATED: Listen to Episode 158 of the InSession Film Podcast where we discussed Triple 9!